Lighthouse Bay is an absolutely beautiful community and would make the perfect full time residence, second home for a northern snowbird or FGCU housing due to close proximity to the college. Everyone enjoys the laid back lifestyle and the added security of a gated community. The Brooks is centrally located with easy access to many local conveniences and amenities such as Enrichment Center and The Commons Club, which offers a private Beach Club on Hickory Blvd. on Bonita Beach. 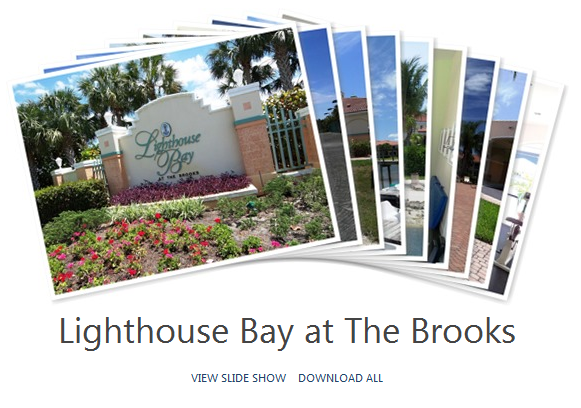 Lighthouse Bay at The Brooks is just around the corner and close to Coconut Point Mall, Southwest Florida International Airport, Bonita Beach and Barefoot Beach are only about 15 minutes drive. Lighthouse Bay is located at the intersection of Three Oaks/Imperial Parkway and Coconut Road. Communities similar to Lighthouse Bay at the Brooks include Coconut Shores, Mirasol at Coconut Point and Rapallo in Estero, Florida.